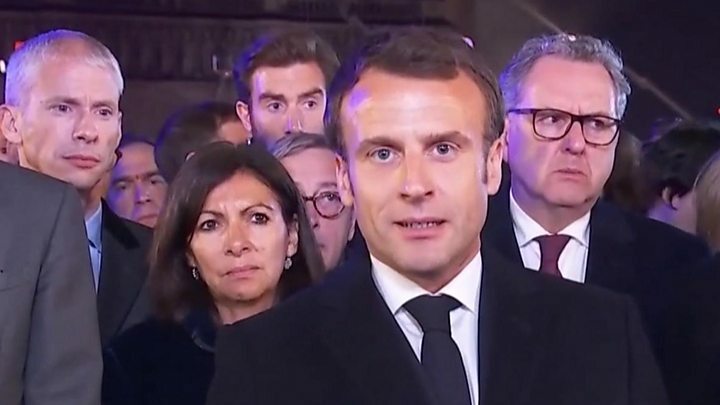 French President Emmanuel Macron vowed to reconstruct the historic building even as the fire still burned, while two French business magnates had pledged about €300m ($ 339m; £259m) between them by early Tuesday. Mr Heitz told reporters that the first alert was sounded just after 18:20 local time (16:20 GMT), but on inspection no fire was found. It was only after a second alert at 18:43 that the blaze was discovered, and firefighters were called. One firefighter was slightly injured while tackling the blaze, Commander Jean-Claude Gallet told BFM TV. Police stop the crowds getting any closer, as firefighters use a tapering crane to inspect the facade by the cold light of day. The shrill whistles of traffic police cut the air as sirens of emergency vehicles pass mournfully through the hum of the traffic. But every so often, the birdsong reminds you it’s spring in the City of Light. There were already fears about Notre-Dame’s stability, after cracks appeared in the stone. 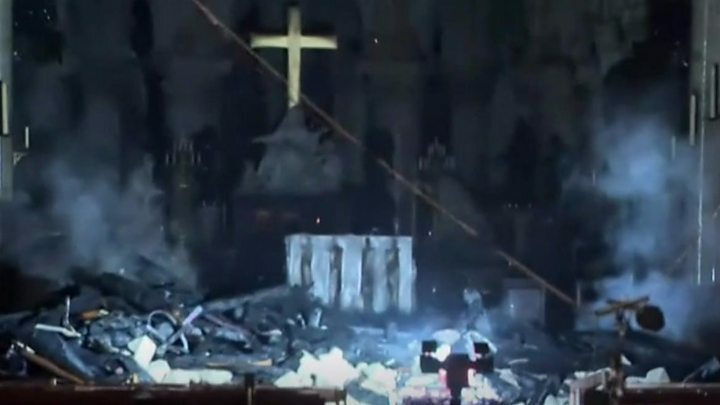 Billionaire François-Henri Pinault, chairman and CEO of the Kering group that owns the Gucci and Yves Saint Laurent fashion brands, pledged €100m (£86m; $ 113m) towards rebuilding Notre-Dame, AFP news agency reports. Total, the French oil giant, has also pledged €100m.